So far, 2016 has proved to be something of a breakthrough year for the Internet of Things (IoT). From transforming domestic security and insurance through developments for the smart home to dramatically expanding opportunities for brands to communicate with and understand their customers through their interactions with everyday products, organisations from a diverse range of sectors around the globe are rolling out projects that are driving IoT closer to mainstream awareness and engagement. It’s not just commercial organisations leading the IoT charge. It was announced last week that the Netherlands has become the first country with a nationwide network designed specifically for the Internet of Things. Built on low-power, long-range ‘LoRa’ technology – rather than WiFi or 3G/ 4G spectrum – in order to improve performance and accessibility, the network will launch with deals in place to connect 1.5 million objects, and many more to come. 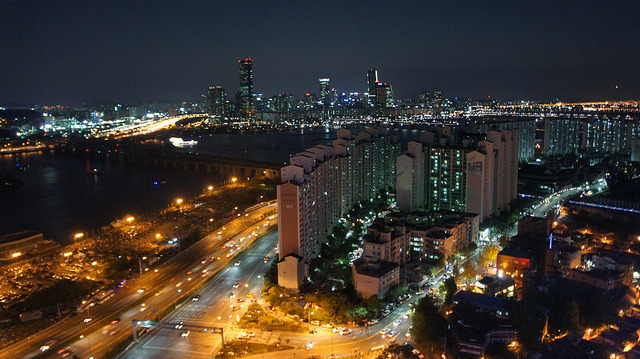 Hot on the heels of the Netherlands, South Korea announced its launch of a national low-cost IoT network for commercial purposes. Users will have the opportunity to access IoT through monthly subscription plans costing as little as 350 Korean won (around 20 pence) – around one-tenth of the cost of existing LTE-based IoT services from the network’s creator SK Telecom. Here at EVRYTHNG, we’ve been fortunate enough to contribute further to this super-scale adoption of IoT, most recently through our commitment with Avery Dennison back in April to make 10 billion items of clothing ‘Born Digital’ over the next three years. 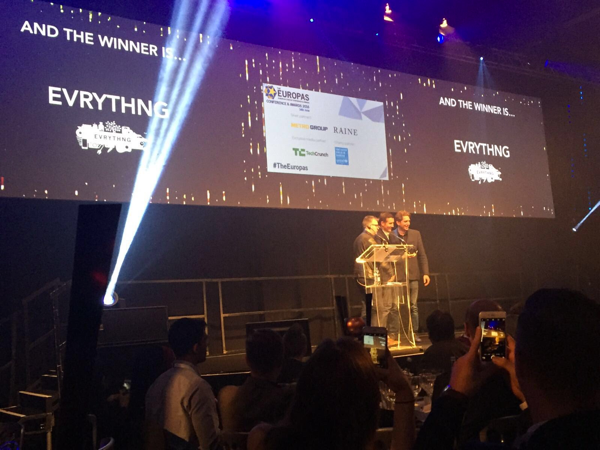 This contribution was recognised last month, as we were named Best Internet of Things Startup at The Europas. We’re honoured, as The Europas has consistently supported high-quality technology innovation and growth by connecting the best ideas, capital, and entrepreneurs in Europe. It’s always fantastic to be part of the occasion – and, this year, to walk away with a gong for the promise that 10 billion shirts and shoes will soon talk back to you via your phone. This is only the start, however: we believe in a future in which every consumer product has a digital identity. We were also delighted to be listed in Market Inspector’s Top 50 Innovative Companies in the UK list as part of their 2016 Innovative Business Awards. Other recognition this year includes Red Herring 100, Bloomberg Innovators and 100 Most Disruptive Brands. All in all, further validation of EVRYTHNG’s vision of every consumer product eventually being ‘born digital’ with an Active Digital Identity(tm) in the cloud that operates the product as a web object, generating and capturing data to drive applications. Good to know we know we’re on the right track. And another shiny bauble – even one that isn’t yet smart – for the digital mantlepiece is never a bad thing. Seoul Korea image from Tracy Hunter under Creative Commons license.